Whether you’re looking for Philly staples like cheesesteaks and soft pretzels or have an appetite for something more adventurous, diners of all stripes are sure to get suited at Reading Terminal Market! The massive indoor market in the heart of Center City is one of Philly’s busiest tourist attractions, but it’s also been feeding Philadelphians for more than a century. 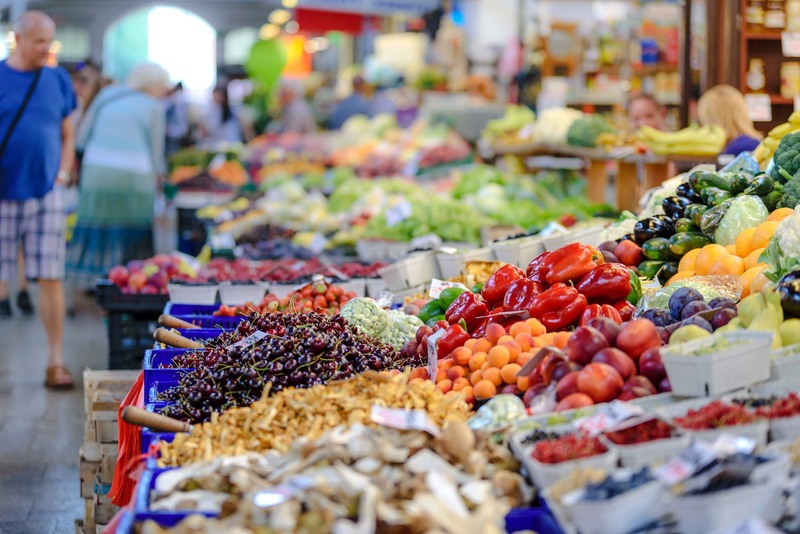 With apartments near Reading Terminal Market like The Metropolitan, residents are close to fresh, locally-grown food to satisfy any taste. Reading Terminal Market is one of the nation’s oldest public markets, having opened its doors in 1893 in a former railroad station, and what is now a National Historic Landmark. While the architecture of the building is quite a sight to behold, the smorgasbord of food is even more dazzling. Nearly 85 food vendors are arranged throughout the market, which is among the largest of its kind in the whole country. The volume of vendors means diners can take their pick from a dizzying amount of different foods. There are salad bars and sandwich shops, diners and delis and bakeries galore. Many of the shops feature locally grown produce and handcrafted meals made with locally sourced ingredients, such as at the popular Amish shops, which offer delicious dishes with Lancaster-based products. Apartments near Reading Terminal Market allow residents to have fresh foods at their fingertips. Whether they’re buying ingredients to handcraft a meal at home, or want to dine in for breakfast, lunch or dinner any day of the week, the options at Reading Terminal Market are endless. While food takes center stage at the market, there are lots of other options as well, including a bookstore, gift shops and florists, and even a bar to relax in after all that shopping. People watching is a great pastime at Reading Terminal Market, where you can pull up a stool, dig into a mouthwatering meal and watch as people from around the city hustle and bustle from stall to stall and tourists from around the world take in all the action. Apartments near Reading Terminal Market give residents the opportunity to be regulars at a site where they’ll never get bored of visiting! Call The Metropolitan to learn more about living here.